Twin cancers of unethical behaviour and widespread acceptance of mediocrity are eroding the social and economic fabric of Dominican society. 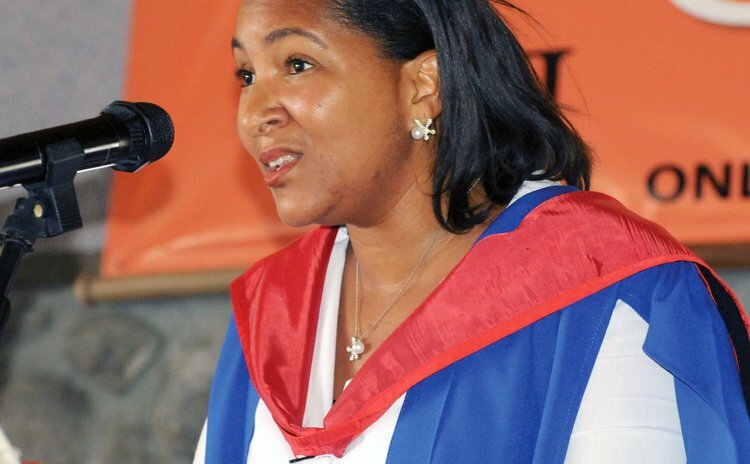 Attorney-at-law Noelize Knight-Didier told the 2015 graduating class of the University of the West Indies (UWI) Open Campus that questionable work ethics has become commonplace in Dominica. "Unfortunately the moral compass of our society seems to be going further and further off course with each passing day. And this is not only in Dominica, I'm speaking of the world at large," she said. "Honesty, ethics, morality are being eroded by lies, corrupt activities and deception. Usually the motivation will be more money and more power." She advised the graduates to "do the right thing" in spite of the potential repercussions, to "stand your ground" and refuse to "be part of unethical activities." Knight-Didier was the featured speaker at the annual recognition of graduates ceremony held at the Fort Young Hotel last Wednesday. In addition, Knight-Didier urged the graduates to rise above what she described as the "it good so" mentality that is negatively affecting standards at the work-place. "It seems that many of us are just fine with simply getting by, just getting the job done rather than striving for excellence," she said. "What is worse is that this mediocre work is even accepted and praised by others." Meanwhile, Dr. Francis Severin, Director of the Open Campus Country Sites announced that the UWI made some "significant leadership changes" over the past few days that included the appointment of Sir Hilary Beckles, the former Principal and Pro-Vice Chancellor of the Cave Hill Campus of UWI as the university's Vice Chancellor. Sir Hilary began his new post on May 1st 2015. Sir Hilary is an experienced university administrator, economic historian and higher education specialist. He is the principal author of "The Brain Drain: Tertiary Education Thinking and Planning in the Caribbean"; vice president of the international task force for the UNESCO slave route project; a consultant for the UNESCO cities for peace global programme; an advisor to the UN world culture report; and member of Secretary-General of the United Nations, Ban Ki-Moon's, science advisory board on sustainable development, among other positions. In his address to the graduates, Dr. Severin also announced that the Dominica Open Campus, at the request of students, is to introduce a number of first degree, second degree and post graduate diploma courses during the 2015 to 2016 academic year. "We have responded on demand and on line," he said. Being severely critical of what he labelled as "short-termed, knee-jerk, moon-lighting, fly-by-night" organisations offering tertiary education in the region, Dr. Severin was of the view that these universities would not benefit the region and its people. "If we as a Caribbean region are to make a strong and legitimate claim to civilization, we must maintain a strong and solid university that belongs to us," Dr. Severin said. He added: "We must support the philosophy of academic freedom because if our region does not encourage an independent community of scholars and scholarship with its implications for freedom of speech then that region will not develop new ideas and will forever remain dependant, penniless and mendicant physically and intellectually." During the ceremony thirty Dominicans received certificates in subject areas ranging from social studies, family life education, nursing, instructional design, adult and continuing education and English language.